The increasing number of first-time homebuyers is another factor driving up the demand for housing, according to Realtor.com. Many of those first-time buyers are millennials who have been sidelined by the challenging market conditions. The market capacity for existing-home sales increased by 0.3 percent month-over-month and 12.5 percent year-over-year in May, while rising interest rates and a slight jump in unemployment countered equity-enhancing home price appreciation, according to First American. December home sales topped the previous month by a double-digit percentage, defying the usual slowdown brought on by seasonal influences, according to a survey of metros nationwide. Sales of pre-owned homes stalled out in November, plunging to their slowest pace in half a year only one month after hitting a 2014 high. Despite the stumble, home resales in November were still up 2.1 percent from year-ago levels, making it just the second month in 2014 to see sales rise year-over-year. It's been a year of starts and stops for home sales, which have struggled under the weight of rising mortgage rates (a trend that has reversed in recent months), a tighter lending environment, declining affordability, and a lack of housing stock available for buyers. Income growth and rising home inventory levels helped push house sales up in October compared to last year, marking the first major increase year-to-date, according to a report. The number of homeowners optimistic about selling their homes dropped in the third quarter, interrupting a streak of rising confidence as the housing market shifted out of their favor. 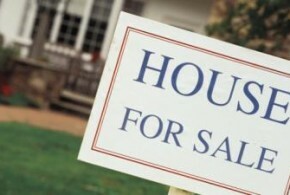 The number of listings last month was approximately 1.87 million, down 2.7 percent annually and 7.9 percent monthly. The decline compares to Redfin's latest analysis, which showed an unexpected bump in inventory from new listings. Redfin's data measures a narrower list of markets nationwide. Annual price appreciation regularly topped 10 percent nationwide in 2012 and 2013, fueled in large part by high levels of investor activity and a shortage of homes on offer to interested buyers. 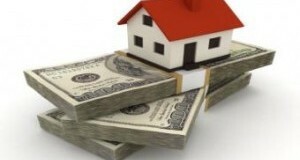 As of July, yearly growth was down to 5.6 percent, according to the S&P/Case-Shiller Price Indices.